TTB is thrilled to announce that Eric Krasno (Soulive, Lettuce) will hit the road as TTB's bassist for their summer tour dates. As a co-writer and contributor on TTB's studio albums, Krasno is no stranger to the band, and we're excited to have yet another supremely talented musician on-board this summer. Krasno will perform at TTB concerts through August 15, except for July 19-24, when TTB will be joined by Tim Lefebvre. 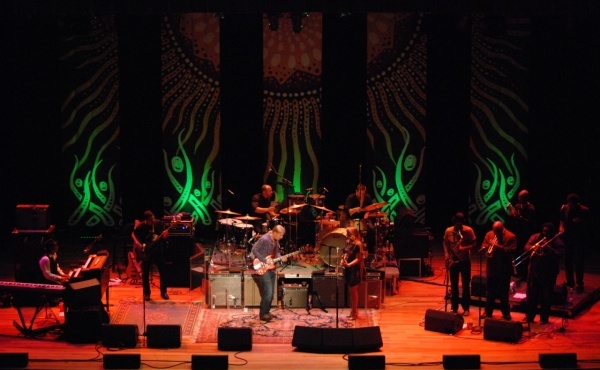 "I'm excited to be a part of this amazing band for the summer tour," says Krasno. "I've worked with many of the TTB members in different lineups but I look forward to holding down the low end and being the bass player this time around!" Though he's widely known as a guitarist, bass was in fact Krasno's first instrument and he has played bass in the studio for the likes of Norah Jones, Talib Kweli and Ledisi in recent years. We also want to extend a special thanks to the legendary Bakithi Kumalo for his great work with the band in April and May. We're truly honored by all the brilliant musicians who have contributed their bass talents to TTB on stage and in the studio this year, and we're excited to add two more to the list this summer.